Actors are often quoted as expressing the view that it is way more fun to play the villain as they get some of the best lines in a film. It could be argued that War for the Overworld feeds on that desire to play the bad guy, as it places the player in the role of a power-hungry dungeon lord who wants to take over the world. They're not the only one who has designs on the 'overworld', however, so the player must grow their dungeon and become supreme ruler of the underworld and overworld, which is no mean feat. 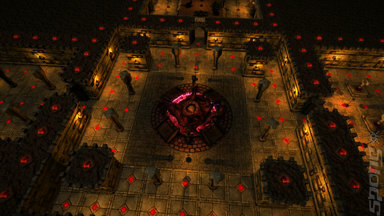 Many would regard War for the Overworld as a clone of Dungeon Keeper. But with that game now sullied with a broken pay-to-win title on mobile devices and the tepid Impire also sullying the name of dungeon god-sims, can War for the Overworld bring back the magic of that now almost 20-year-old Bullfrog game? 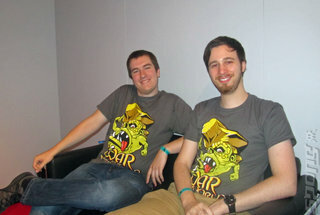 Chris O'Regan, the host of The Sausage Factory Podcast, spoke to Scott Richmond and Lee Moon, lead programmer and community manager of Subterranean Games, the developer of War for the Overworld to find out. SPOnG: So tell me about War for the Overworld, from what I have played of it, it is a god-sim/dungeon management game. 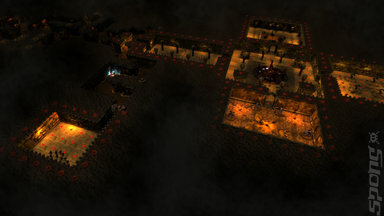 Scott Richmond (SR): War for the Overworld is a dungeon management game, which is a fusing of the RTS genre with god-sims. As the underlord, the player's role is to dig a bigger dungeon, place runes down, and as you do different creatures are attracted to them. 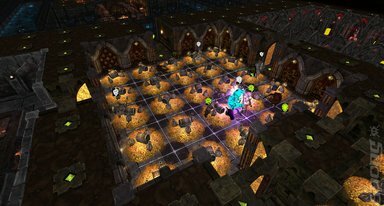 The player uses the creatures along with defences, traps and spells against their enemies. It's like the inverse to the first Diablo; so rather than being the hero venturing into the dungeon the player takes the role of the dungeon master drawing the hero in. SPOnG: Right, well that's an interesting way of looking at it. But knowing how Diablo ends up, where the player turns into the death-dealing machine of death, that may put a quick end to the dungeon lord's plans. Lee Moon (LM): The big problem with hack 'n' slash RPGs is that the player is not taking on the role of a god. Where as in War for the Overworld you do play one and therefore you have a bit of an advantage this time around. 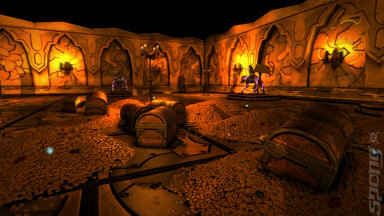 SPOnG: There are some obvious similarities between War for the Overworld and the Dungeon Keeper games and I understand the voice talent for those titles, Richard Ridings, is present in War for the Overworld. LM: Richard Ridings is still on board and we still have quite a few recording sessions to do with him. We have got a lot of his talent into the game right now and it's fantastic. SR: It's one of those things when you hear him, it sends a shiver down your spine. He is so so good, he's a pleasure to work with. SPOnG: So it's out now on early access is that right? SR: Yes it has been out in early access via Steam and our website since May 2013. SPOnG: So you're a fan of crowd funding with both Kickstarter and Early Access helping to get the game completed. How has that worked for you? SR: Pretty good actually. We've been very lucky as we have had constant support from our backers and those that have invested in the game via Early Access. SPOnG: So the community obviously has a vested interest in War for the Overworld and they do influence various aspects of the game. How have you managed feedback from the community vs. the overall design philosophy of War for the Overworld? LM: Well, managing a community is in my job title, but I really have no idea! Joking aside we have had some very strange suggestions. I could expand on them, but I don't think I will. But yes, it's always a tough line to draw between taking on board community feedback by saying 'yes this is a great idea', but thinking how it would fit better into the game. Sometimes there are strange ideas that just don't fit, but really it's just finding what fits into our vision into our game design, which is guided by our Creative Director. It's finding what we like as developers and what the community likes. Now obviously there are a lot of voices out there and a lot of people like a lot of different things, but you can't please them all as you'd just end up with a mess. SPOnG: Well that's the point, it's not a democracy. LM: Well that's the point, it isn't. If we honestly think, and a lot of people tell us one thing, for example one of our units the Ogre, that unit has been redesigned four times. Now we're finally at a stage where people seem happy with it. Likewise we changed a couple of other units and they look much better for it. There are all sorts of things that we go back over and yes we will agree with the community if something doesn't fit, we'll fix it. In that case it's really trying to work out what fits. SR: Yes, I think in some ways we take an analytical approach as well. So any suggestions, and even if it is the majority view that they should be included, we take them and test them. 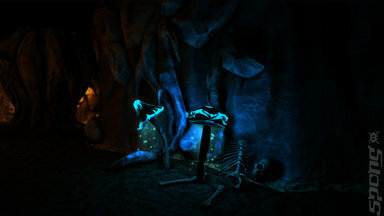 We implement them and prototype them, but at the end of the day we need to see where it takes the game design. SPOnG: So going back to War for the Overworld and what I have played of it, I want to ask you about pacing and how that has changed over time. SR: This is something we are right in the middle of right now. Probably over the past month we've been really focussed on getting features implemented so now we can start to sit down and re-balance things to actually get a feel for the game now that these features are in. It's pretty much what we'll be doing from a month ago forwards. The plan is right now to focus on the campaign and balance. We're also looking at multiplayer so we're getting the community involved to balance things out there. So we just need to figure out how everything connected together works. SPOnG:That is the most complex element of it, apart from the coding of course, those spreadsheets have to be aligned. The game has to be fair. In earlier versions of War for the Overworld I found myself in a quagmire as I was unable to get out of a circle of events. It was rare, but it did happen. LM: I think very much with the single-player content we will start to introduce content when we release the game. I think the structure of the levels will direct the player. We want to provide a degree of player freedom. Where we want to give options on how to approach a situation yourself. So for example the demo we brought to EGX this year includes one of the campaign levels and that helps direct players and the enemy will come and attack them which is not as common as we had previously shown. I think this will really help push the player and help the pacing of the game with this constant threat against the player via a scripted series of events.